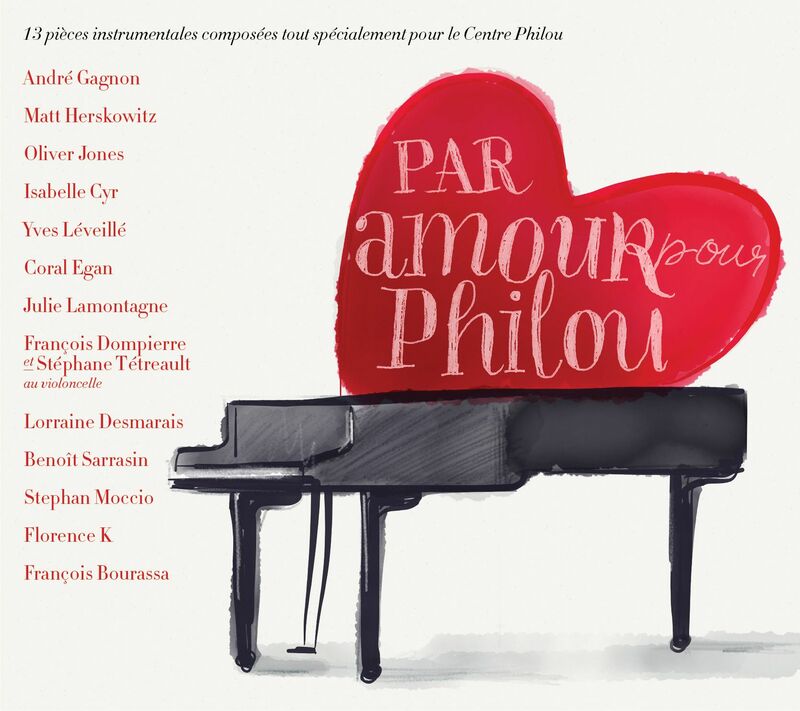 Par amour pour Philou is a gorgeous compilation comprised of thirteen original pieces (one vocal and twelve instrumental.) Performed by some of our most exceptional pianists and combining classical and jazz, it follows in the footsteps of the successful "Berceuses pour Philou", released in 2009, which earned the Félix award that year for the best instrumental album and included works by many of the same artists, who again have donated their time and their talent to this project. The album is the result of a collective desire for action to support a very worthy cause for severely handicapped children. The proceeds from sales will directly benefit Centre Philou in Montréal, a private centre that aides severely handicapped children and their families.